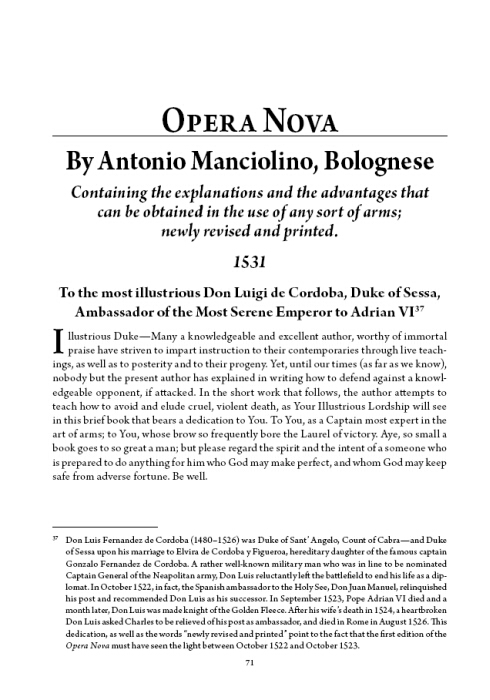 Pages: xiv + 146 pp. 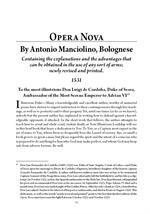 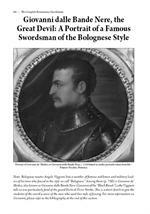 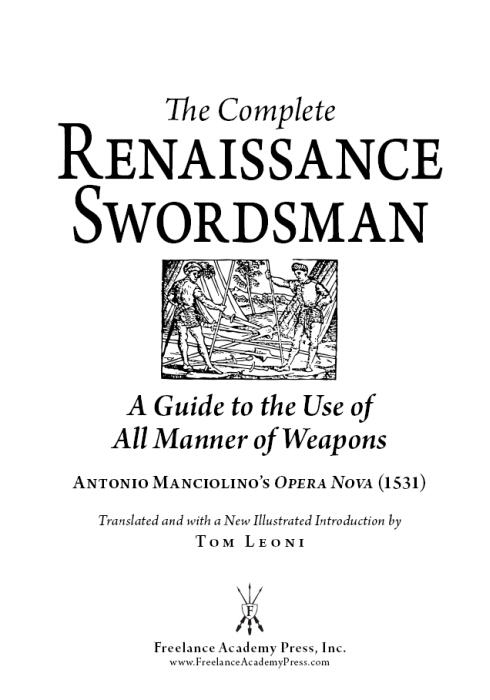 Dating from the 1520’s, Bolognese swordsmaster’s Antonio Manciolino’s Opera Nova is the earliest surviving printed book on Italian martial arts. 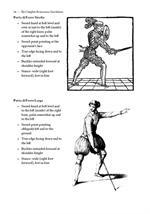 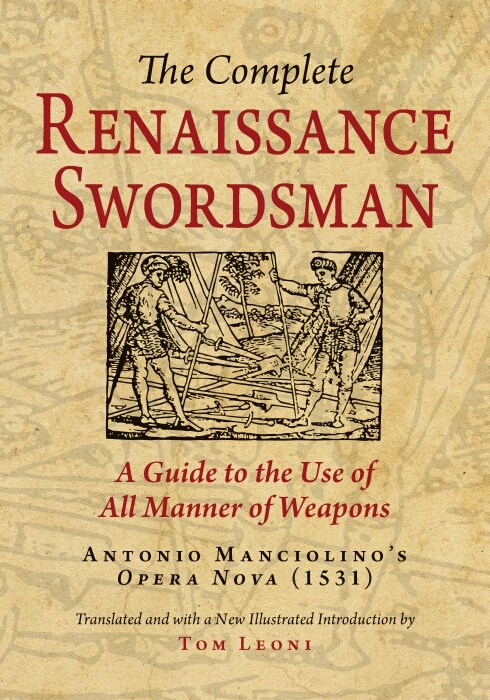 This seminal and eclectic Renaissance work contains clear and systematic instruction on the use of the sword and small buckler, sword and large buckler, sword and targa, sword and dagger, sword and cape, two swords, sword alone, and sword and rotella, plus a fascinating compendium on the use of polearms. 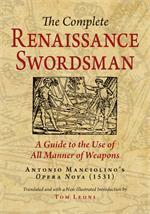 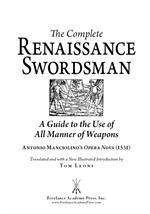 Clearly and elegantly written, Manciolino’s text is one of the best and clearest presentations of the martial skills required of the ideal Renaissance man. For the first time since its original publishing, this book has been translated into English by experienced historical fencing instructor Tom Leoni. 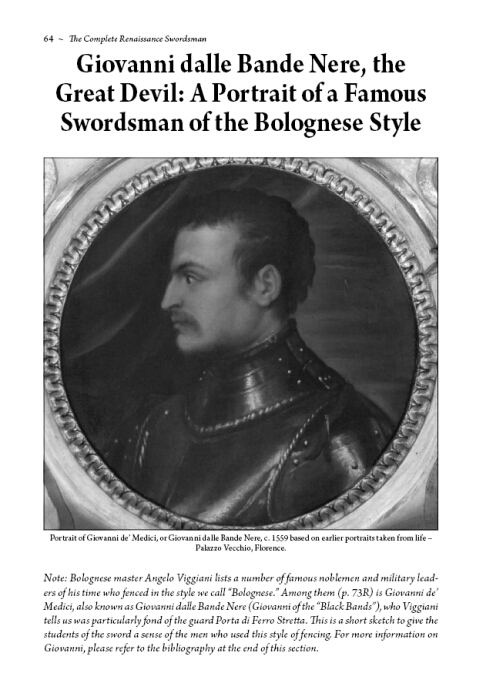 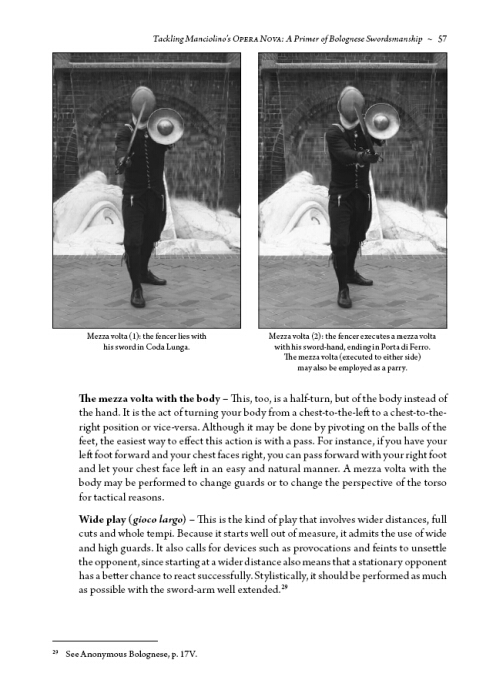 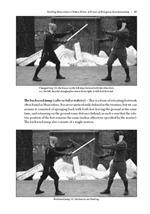 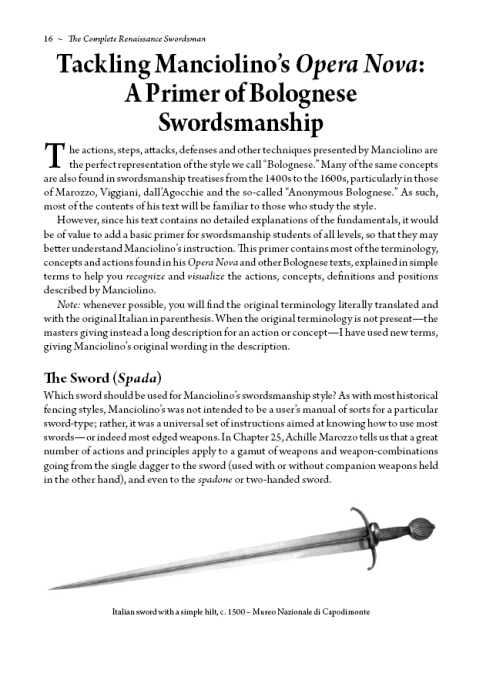 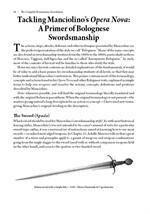 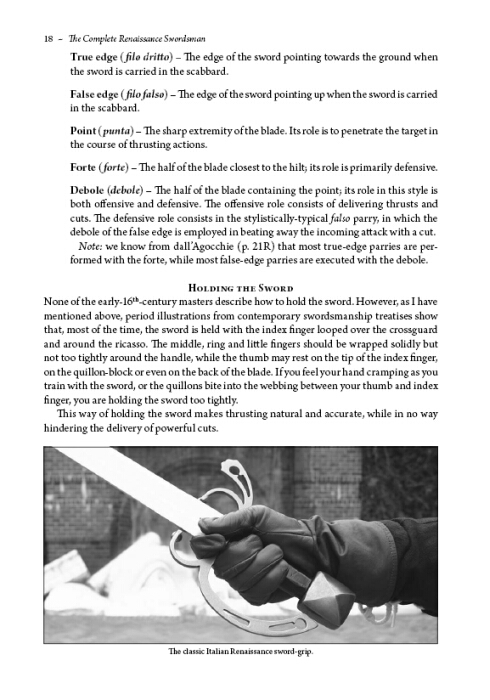 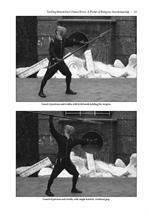 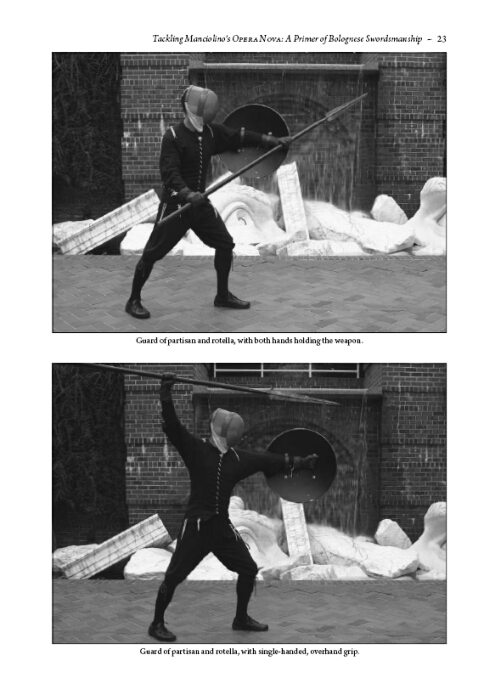 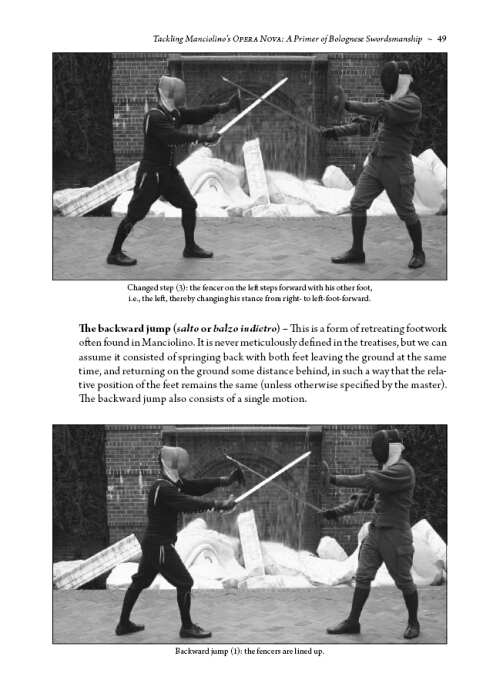 Also included is a valuable and extensive technical introduction, complete with illustrations from both original sources and modern photographs, making it easy to follow Manciolino’s instructions, sword-in-hand, even by beginners, while providing years of training for veteran martial artists.